Queen’s 1977 classic, “We Will Rock You”, was featured in a Super Bowl 52 commercial for Ram Trucks during the NBC-TV network broadcast of the February 4 event at U.S. Bank Stadium in Minneapolis, MN. Originally included on the band’s best-selling album, “News Of The World”, Ram Trucks selected the “fast-version” of the song from their 2016 set, “Queen On Air - The Complete BBC Radio Sessions”, as the soundtrack to the ad, which sees a group of Vikings heading across the frozen tundra and the sea to Minneapolis, MN for the big game. The only known studio recording of the fast version of “We Will Rock You” was delivered by Queen during one of six BBC Sessions by the group recorded between February 1973 and October 1977 as presented on the 2016 collection. Queen were among the acts honored with a Lifetime Achievement Award at last month’s 60th annual Grammy Awards in New York. Joining the legendary rockers as recipients of the prestigious recognition from The Recording Academy are Tina Turner, Neil Diamond, Emmylou Harris, The Meters, Louis Jordan and Hal Blaine; a special award presentation ceremony and concert celebrating the honorees will be held this summer, with additional details to be announced. 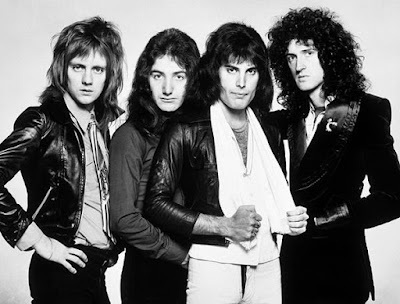 Queen’s 1975 release, “A Night At The Opera”, was also among the inductees into the 2018 Grammy Hall Of Fame, which recognizes recordings that are at least 25 years old and noted for their qualitative or historical significance. Queen and singer Adam Lambert will perform two shows in Auckland, New Zealand later this month before playing an 8-date Australian tour.